Going to Atlanta for FCCLA National Leadership Conference and need 4 more dresses to look professional every day. Heat and humidity for me mean that I wear things only once, or they get too smelly! I will spread out the pattern tissues and measure a dress I have that fits pretty well to decide which styles and sizes I will be making. Going to use some linen look fabric that's been in my stash a long time and in my mom's stash before that - it won't wrinkle and will feel pretty comfy. More teal than green on the left, navy in the center, and red on the right. 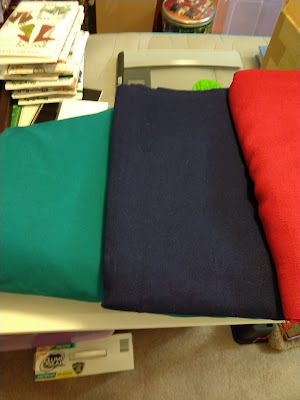 If I don't have enough red for the whole dress, I will make a navy band for the bottom. 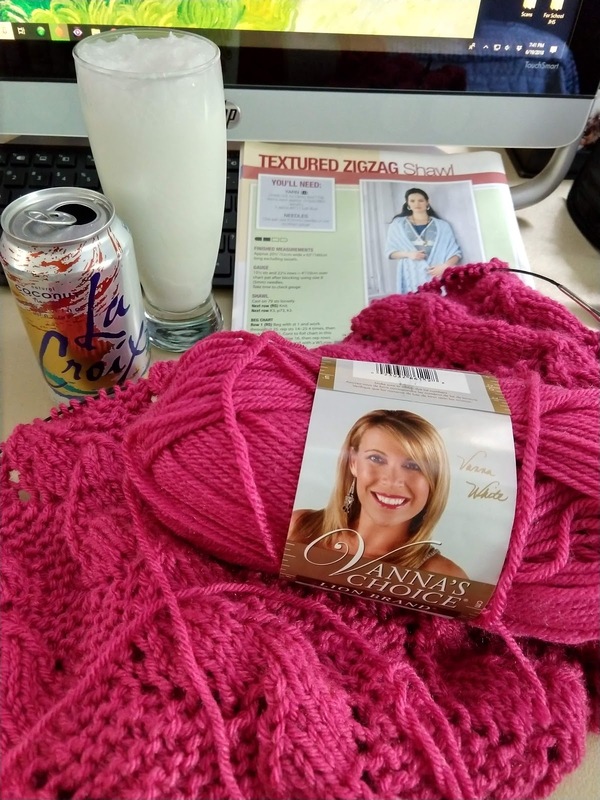 I have a light pink to use for the fourth dress. 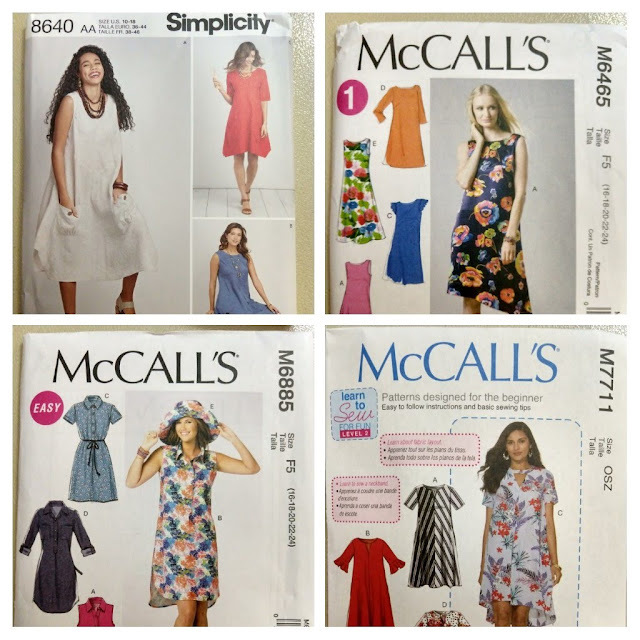 Wish me luck - I have about 4 days to sew them all!